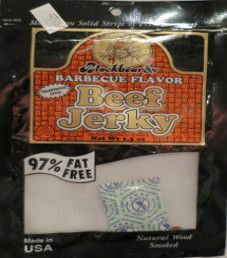 Note: For a live taste review on an updated ingredient list, open up Blackbeard’s – Teriyaki Beef Jerky (Review #2). 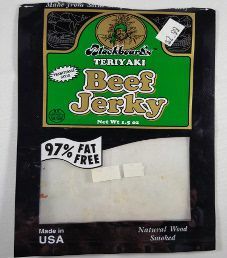 The next review on Blackbeard’s will be on a 2.5 ounce/70 gram bag of their teriyaki beef jerky. This bag was purchased at a gas bar convenience store in Mount Pocono, Pennsylvania back in 2010. In 2010, I bought this barbecue flavored bag of Blackbeard’s beef jerky at a convenience store just off I380 in Mount Pocono, Pennsylvania. It is a fairly common sight to see Blackbeard’s jerky for sale in Pennsylvania. 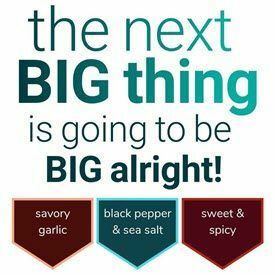 For whatever reason, I have only seen the 1.5 ounce/42 grams for sale in stores, but they do sell their jerky in larger bags.